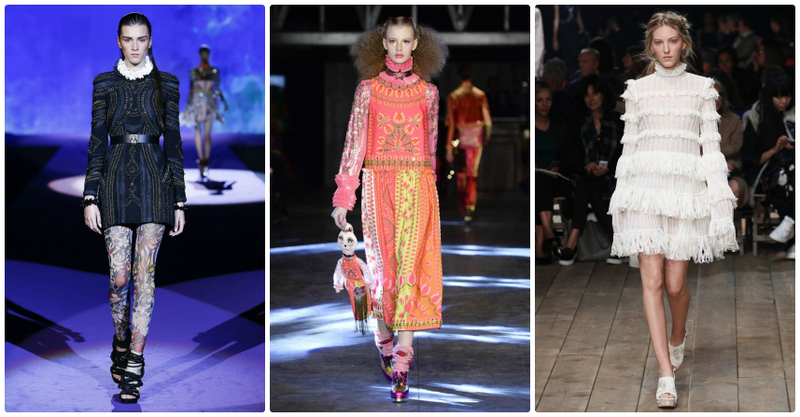 As Miu Miu closed Paris Fashion Week yesterday, Fashion Month finally came to an end for another season. 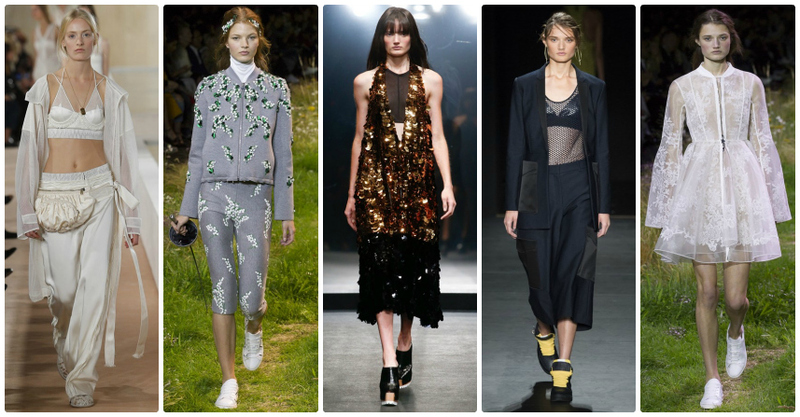 But why not get ahead of the pack by rocking next season style right now? 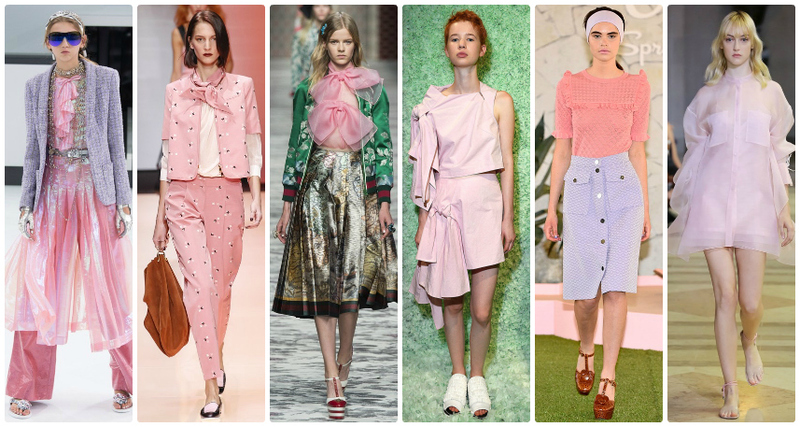 Our Fashion Editor has been trend-spotting hard to bring you all the insider info you need to knock your wardrobe into shape for spring/summer… Monochrome and florals are givens, but what’s new? 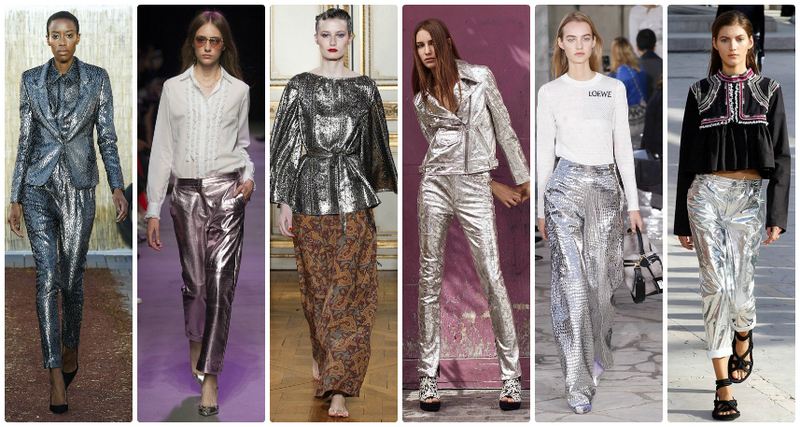 Is it finally time to put the flares into storage? 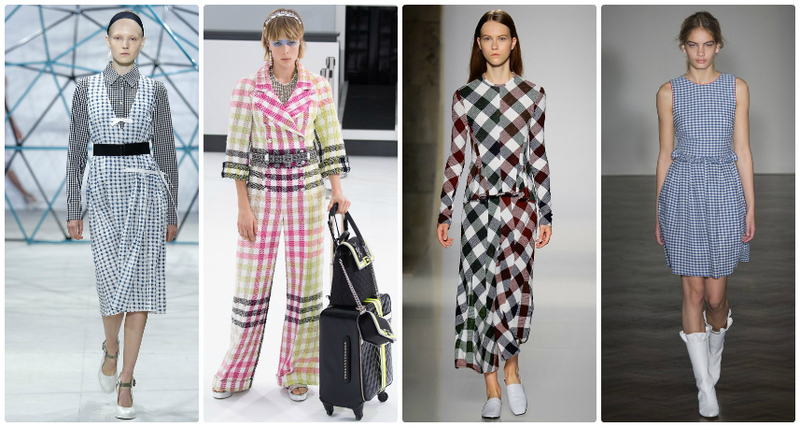 What “it-print” will we be scrabbling to wear from head to toe? And which accessory are we set to reclaim from the historical archives? Don’t worry kids, we’ll still be picking ‘n’ mixing from the 20th century style files like, well, kids in sweetie shops. 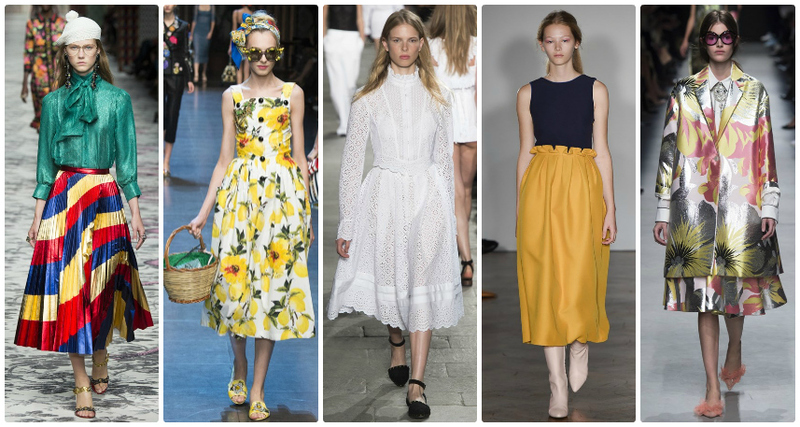 Frock-wise, everything from ’20s drop-waisters to ’90s spaghetti-strappers goes for SS16, but the ’60s was one of the key decades referenced on the catwalks. From sugary sweet to space age, mini-shifts are go: it’s time to swing! If you’ve put anything close to the financial and emotional investment I have into building up your ’70s-style capsule wardrobe over recent seasons, you’ll be happy about this one… Your coffee and cream staples will still be good to go come spring, but, for 2016, Chloe is updating prairie girl chic with ’70s-style sportwear, and designers from Kye to Gucci are giving those faithful flares a Studio 54-inspired facelift – get excited. 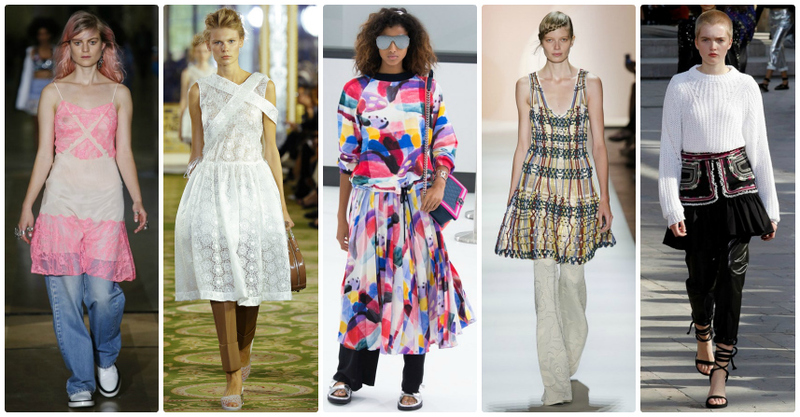 Make the most of it though, because, judging by the preponderance of power shoulders and so-bad-it’s-quite-simply-fabulous taste dressing on the SS16 catwalks, this could be the 1970s’ final season at the top of the style charts… yep, looks like the ’80s are finally set to drag us all – kicking, screaming and clad in gold lamé – into the next decade. 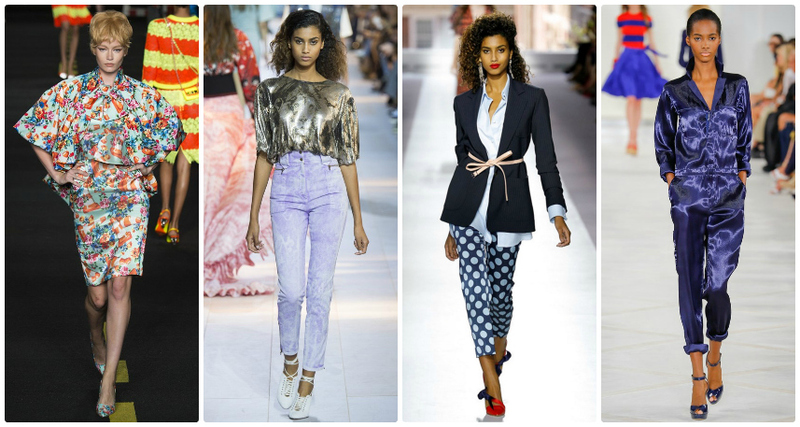 Much as After Nyne loves a good bell-bottom, we cannot wait. 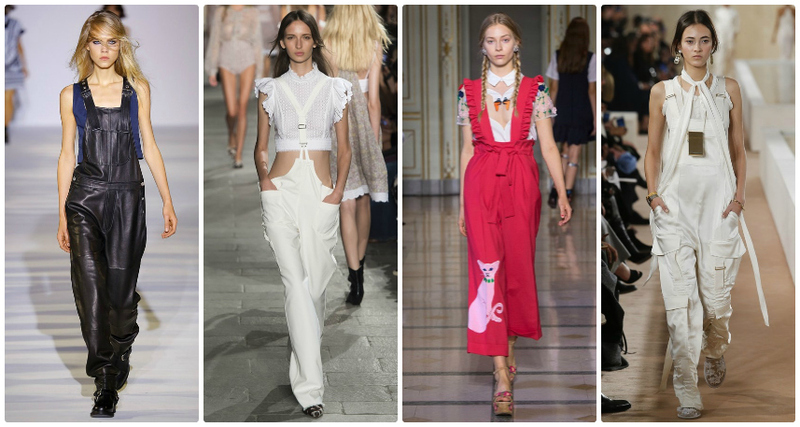 Yes, this is a trend which has been knocking around for a few seasons, but trust me when I tell you that, if you haven’t already got one, now is the time to invest – at certain points over the last month, it seemed like every designer in existence had based their SS16 collection around a little strappy number! 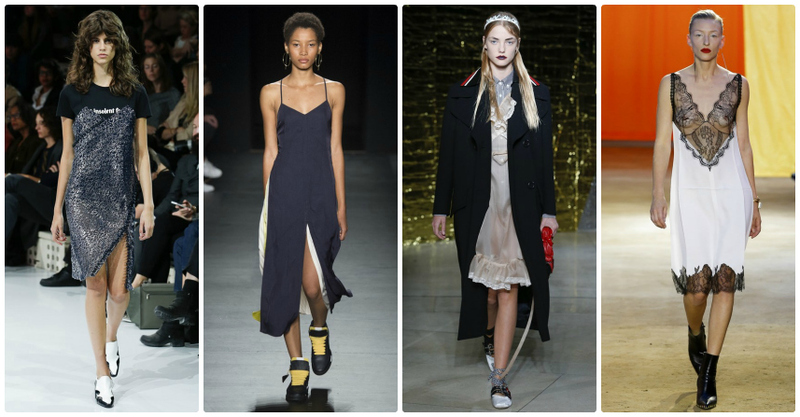 Styling-wise, it’s time to get creative – toughen up with ankle boots, add an urban edge with trainers, or get layering – go all-out ’90s à la Courreges by slipping your slip over a classic tee, or try getting shirty à la Miu Miu. A slightly more divisive ’90s trend, but one which, given its revival by such purveyors of classic elegance as Chanel and Herve Leger, must be given a second look, love it or loathe it… Koche could have lifted their spaghetti-strapped cami-dress over jeans look straight out of my Year 8 Mufti Day wardrobe, but, despite having no wish to revisit that particular fashion moment, I am rather intrigued by Simone Rocha’s ultra-chic midi/cigarette pant combo, and Isabel Marant’s update on folk styling. Prefer to stick to one or the other, thankyouverymuch, but still want to maximise your new season style points? 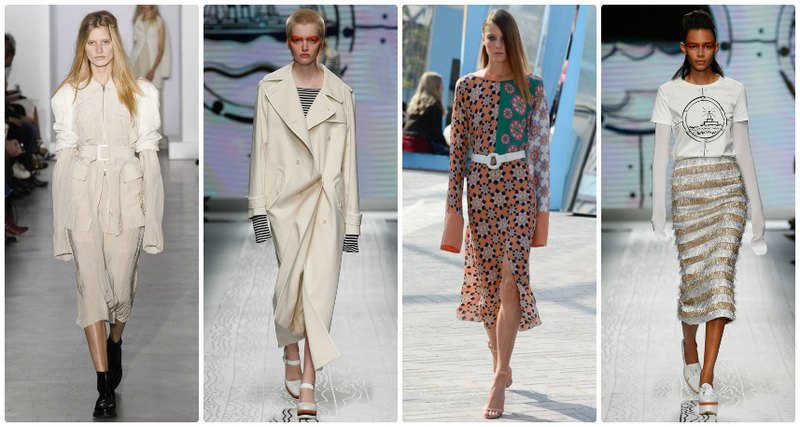 Well, skirt-wise, pretty much anything goes, so feel free to go space age micro or full-length-and-fabulous boho, if that’s your thing – but don’t discount the power of the midi. Seen on more runways than the average Fashion Editor can count after a couple of free Proseccos Vita Coco Lattes, this little beauty combines practicality with an Audrey Hepburn-a-like allure – what’s not to like? 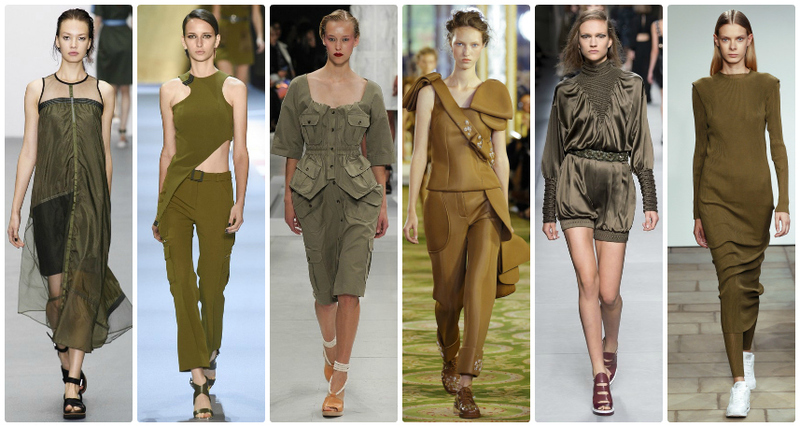 And if you’re more of a trouser lover? 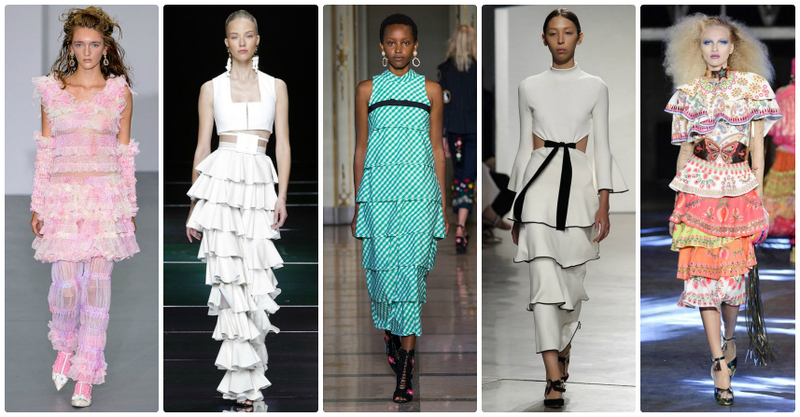 It’s still all about the midi… and the rise… and rise… of the flare. 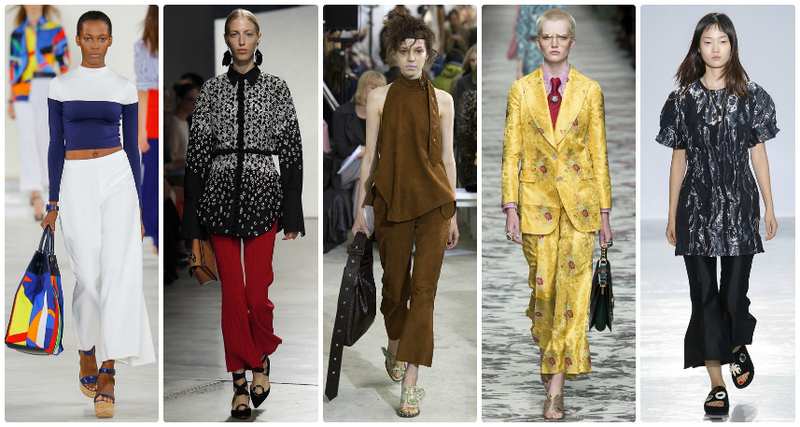 Cropped flares have cropped up in the past, but this month they were quite literally everywhere… For extra style points, nab a pair of peplum-hemmed trews, as seen at Gucci and Ellery. 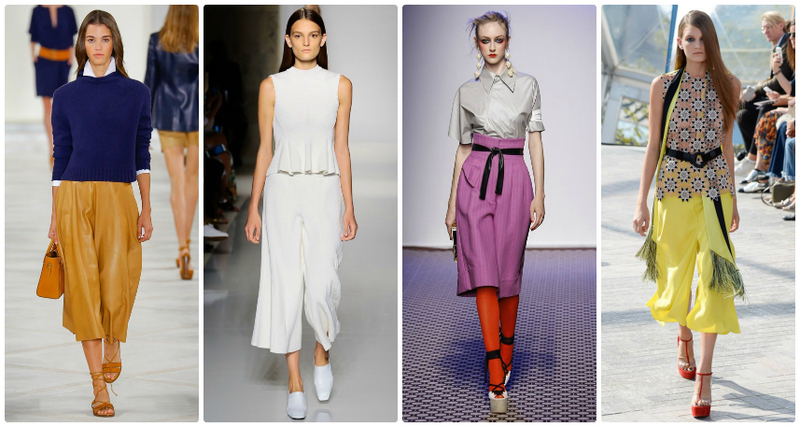 If you’re not quite brave enough for a cropped flare, split the difference with a culotte – yep, the Girl Guide staple we all scoffed at a couple seasons ago is set to retain its grip on our hearts, and our hanging rails, well into the future. If you’re a tad unconvinced re: the practicalities of texting/driving/wine-drinking with all that fabric flapping around, there is another statement sleeve on the block… Tapping into that burgeoning ’80s trend, puffball sleeves, of the kind you dreamed of sporting at your 5th birthday party, were, quite literally, HUGE. Topping off everything from throwback party frocks to sporty bombers and power shirting, this is one trend set to save you some serious personal space on the tube. 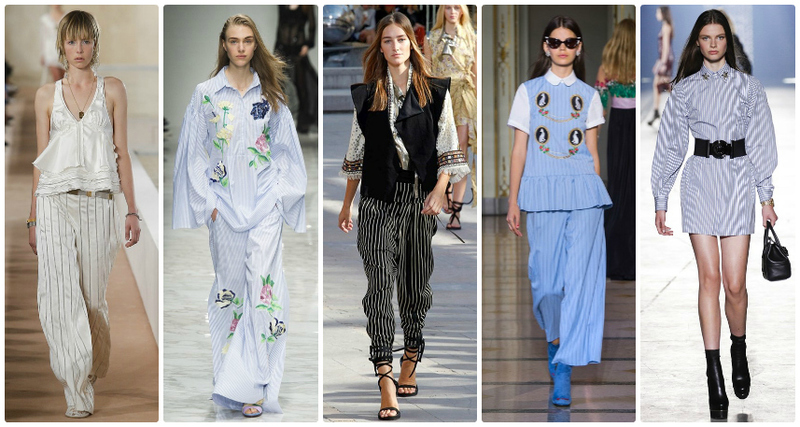 These exploded onto the runways a few years back, but, with the ’80s revival gathering pace, they’re set to become – both literally and metaphorically – bigger than ever, on shirt, jacket and dress hems alike (not to mention those trouser hems). Another wardrobe staple reclaimed from the fashion wilderness a few seasons back and ripe for a new spin – wear your overalls leather and slouchy like Diesel’s Black Gold models or backwards, Philosophy di Lorenzo style. Or you could try out Vivetta’s rather literal interpretation of catwalk style. 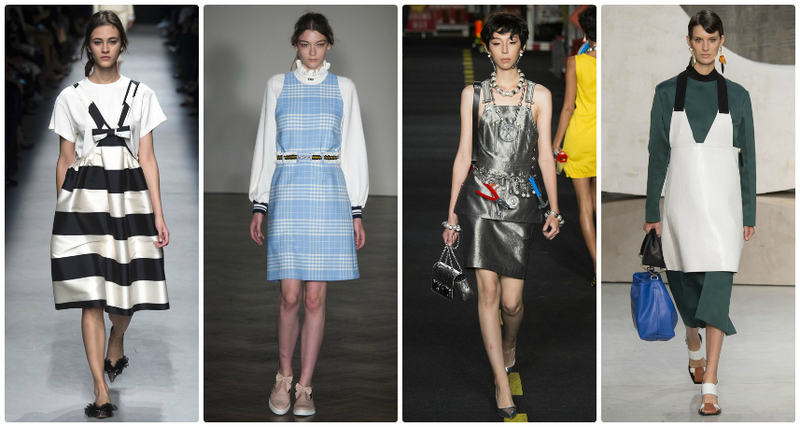 Their little cousin, the pinafore dress, didn’t go short of designer attention this season, either. 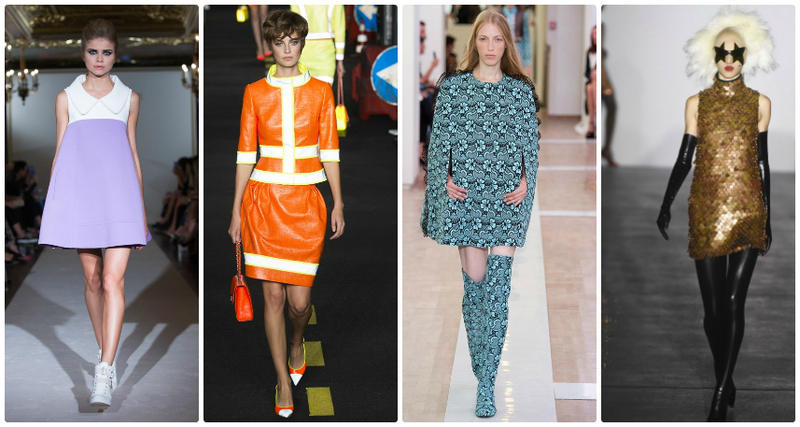 From Mother of Pearl’s Victoriana vibes to Marni’s minimalist take on sport luxe, via Riviera chic at Rochas and ’80s trash-glam at Moschino, who knew there were so many ways to wear a pinny? Whether or not you choose to layer it, Thom Browne style, the shirt dress is one staple you’re definitely going to need in your SS16 wardrobe – go mini, midi, maxi, or, preferably, all of the above. 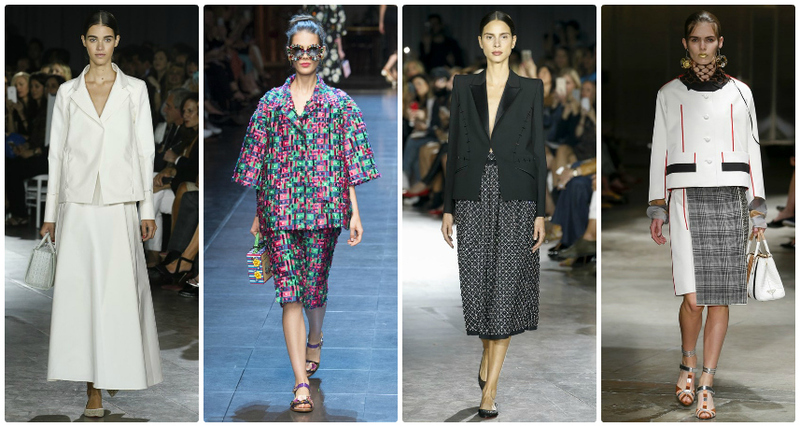 More into ruffles and florals than clean lines and digi prints? 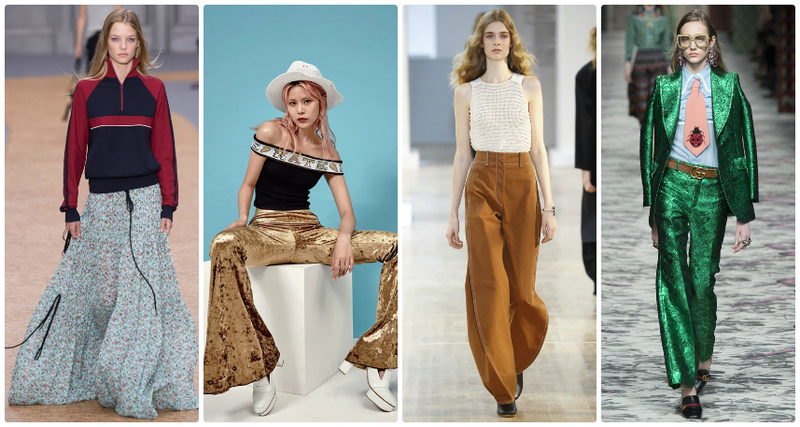 Never fear – folk, that Spring/Summer failsafe, is back, and, combining references to that ’70s trend with Eastern influences, it’s more gorgeously girlie than ever before. Still not quite girlie enough for you? 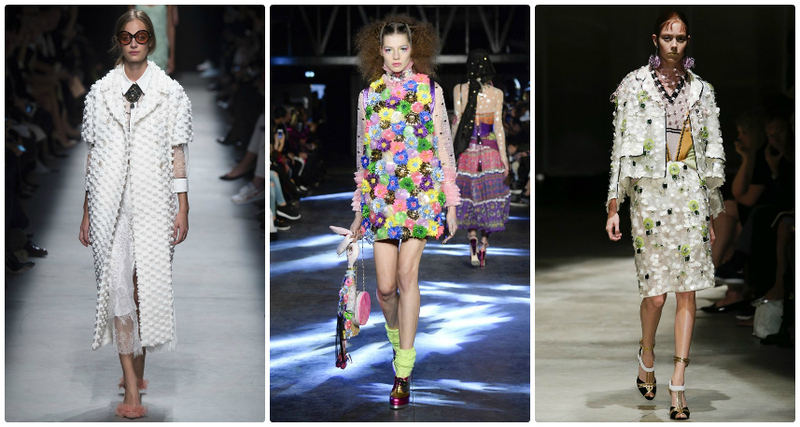 Then next season’s take on embellishment will be right up your street… Flower power, indeed. Just when you thought things might be in danger of becoming a little too sweet, up popped an antidote in the somewhat unlikely form of black leather. With several designers declaring that we now live in a “seasonless” global community, consider yourself free to indulge your inner emo all year round. 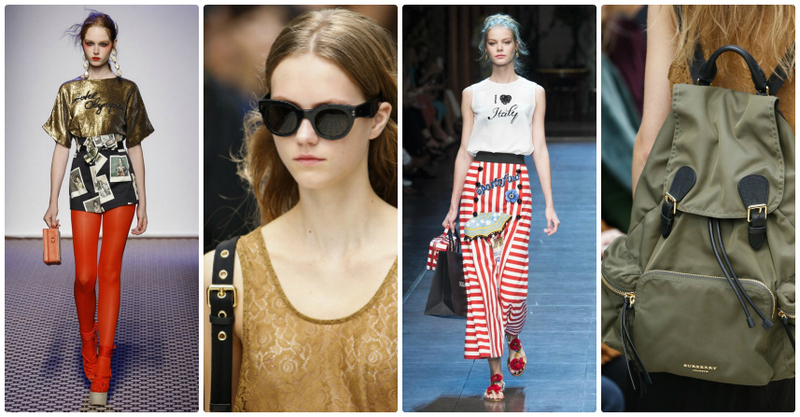 On the other hand, those hungry for a taste of summer sun were rewarded with Olympia Le Tan and Dolce & Gabbana’s tongue-in-cheek homages to the European summer holiday. 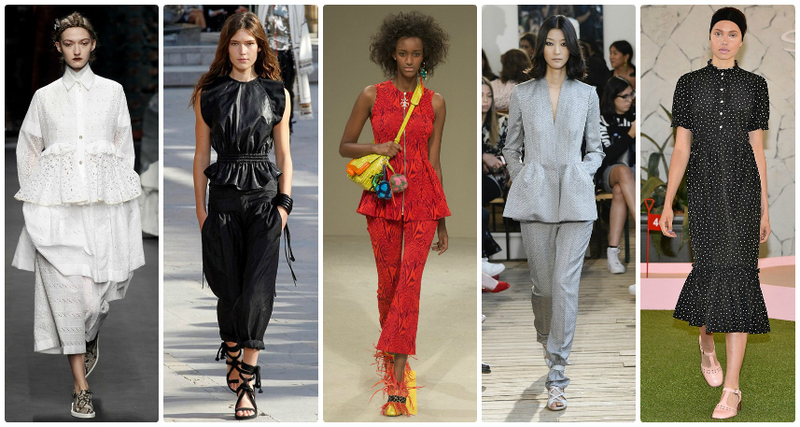 And let’s not forget “Chanel Airlines” and Burberry Prorsum’s ode to traveller chic – backpacks + sandals = officially hot. 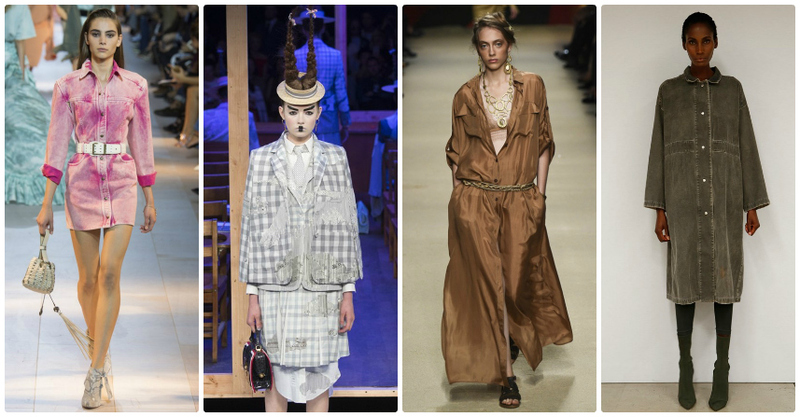 Torn between comfort and style, urban and prairie, utility and adornment? 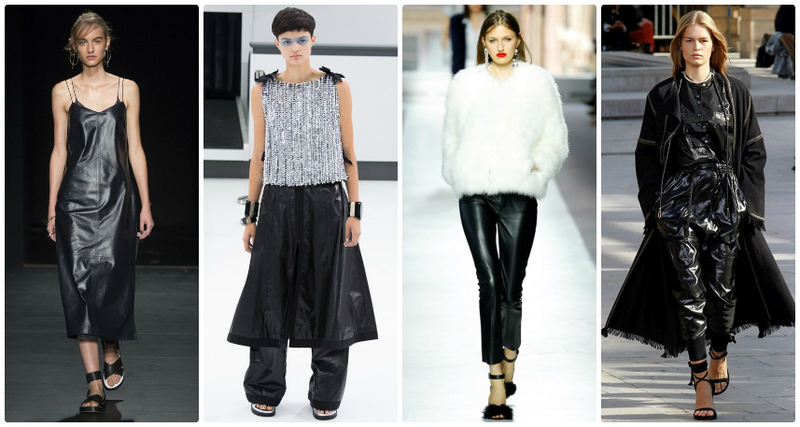 Well, no compromises will be necessary come SS16, when sports luxe goes viral… Get me a silk bumbag and bejewelled hoody, stat. Next season’s “it” print? Go gingham or go home. 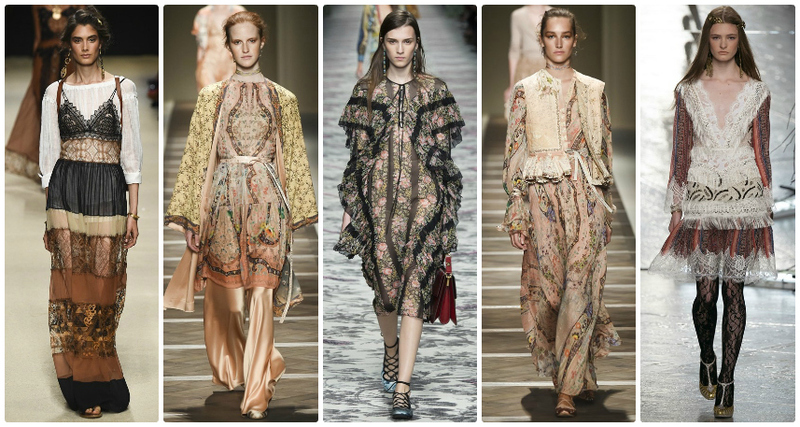 As for those finishing touches, it’s all about feathers – on shoes, belts, dresses… or simply all over. Or forget the layers and just wear them round your neck. 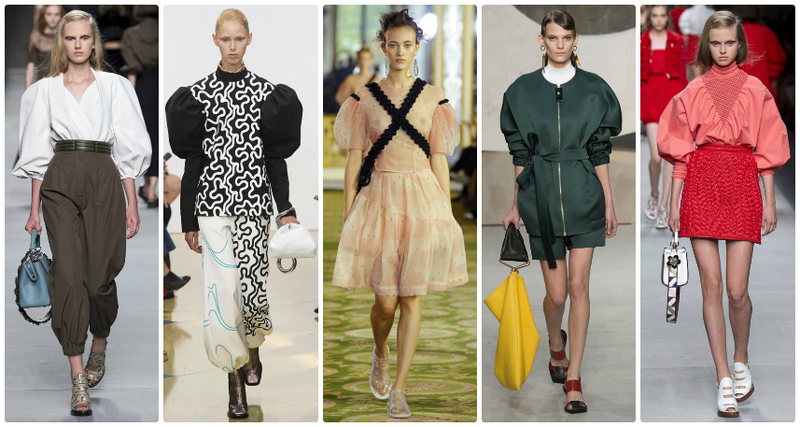 The ’80s are so three decades ago – SS16 is all about the Elizabethans. 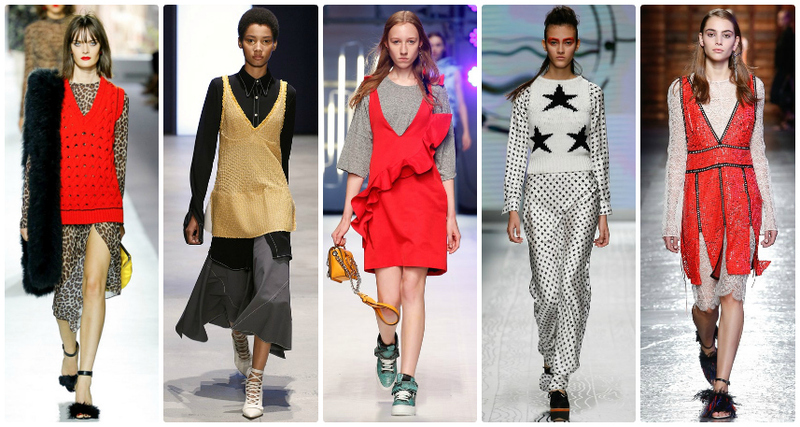 Posted in art and tagged fashion news, fashion week, London fashion week. Bookmark the permalink.